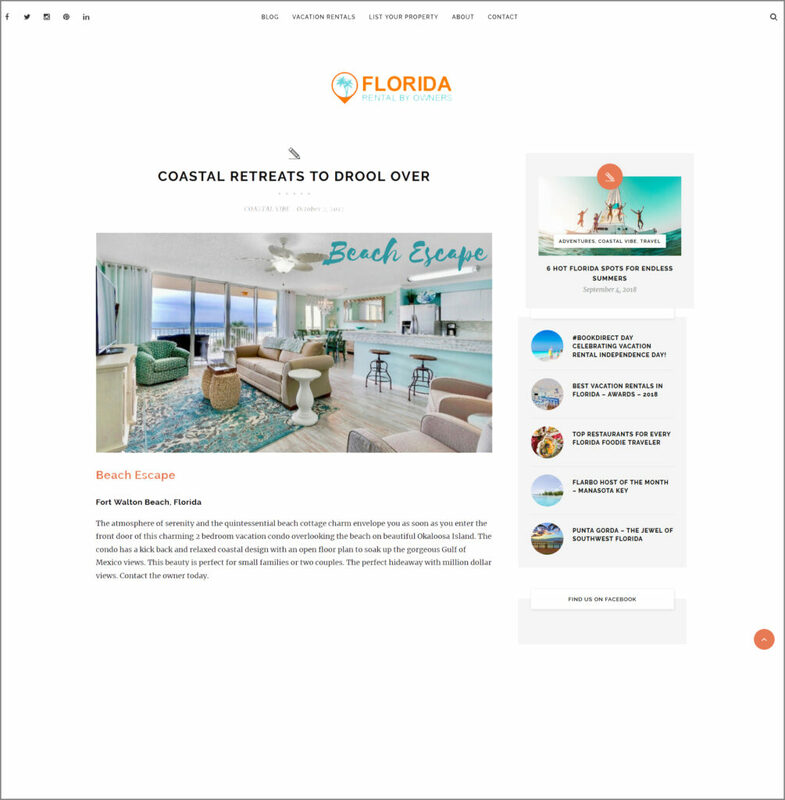 Imagine our surprise and delight when we were notified that our “Beach Escape” condo in Fort Walton Beach was one of the featured properties in Florida Rentals by Owners website’s “Coastal Retreats to Drool Over” article! After viewing the gorgeous vacation rental properties included in the article we feel so honored to have been included with such a group! Thanks for the honor, Florida Rentals by Owners !